I am currently in my first year in the Bachelor of Community Services, and I am really overwhelmed with the amount of support and knowledge that each lecturer brings. The staff at Stott’s College are always friendly, and every time I see any of them, they always have a bright smile on their face. The course is designed in a way that gives you a better understanding of the skills and knowledge that you need once you graduate and start working in the Community Services sector. Through my studies, I found that Counselling is what I would like to pursue as my career, because helping your clients overcome their personal obstacles and problems is the most satisfying achievement you can ever get. I was a registered nurse in Japan specialising in Home-based nursing. I have always been interested in community nursing and public health. I decided to study the Diploma of Community Services to bring my nursing career to the next level by gaining knowledge and skills in community services. I found one of the units, Manage and Promote Diversity very interesting. We learn how to assist and engage with people from culturally and linguistic background. I learned about gender inequality and how this is reflected in the Japanese culture. Students in class comprise of many nationalities and speak English. Educators conduct classes always simple and easy to understand. Even when there are questions from students outside of class, educators usually find time either during the breaks or after class to respond. Due to classes being in the evening, I have the opportunity to work during the day. Therefore, allowing for a positive well-balanced student life of study and work. I completed my study at Stott’s College many years ago and still benefit at daily work from the knowledge and profession taught at Stott’s. 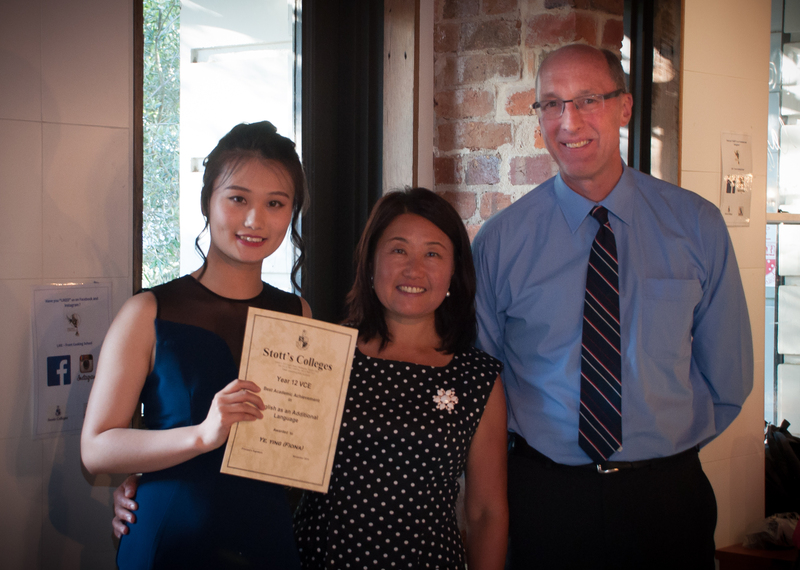 As an overseas student, study life can be very tough, but the teachers at Stott’s made it a lot easier. They were professional, friendly and very helpful. Students could approach them for all kinds of questions and the teachers would always try their best to assist. The course is designed in a way that helps students to acquire various and broad skills, from how to conduct a business negotiation to how to make a proper handshake and etc. It was a fabulous year that I spent at Stott’s, had great classmates, learnt so much and without noticing, by the end of my study, I already transformed to be a professional. With my diploma, I got my first job in a 100 years’ old British company in Hong Kong where my working life continued to develop successfully. So after all these years, I say again ‘thank you very much for having me as a student at Stott’s College. Today marks the end of our long and arduous climb on the academic ladder as we reap the bounty of our hard work. We have endured many ordeals, exhausted our abilities and pushed ourselves to the limit. We strived and we prevailed. Doing my Bachelor’s Degree of Accounting in Australia was interesting and full of unforgettable memories, and Stott’s Colleges has greatly contributed to that. Units are designed for students to learn and apply in the industry and exams are formulated to teach rather than just a test of memory. Furthermore, lecturers are respectable and highly qualified to teach the subjects related to their field. What I love most about my international study experience is the balance between fun and work. 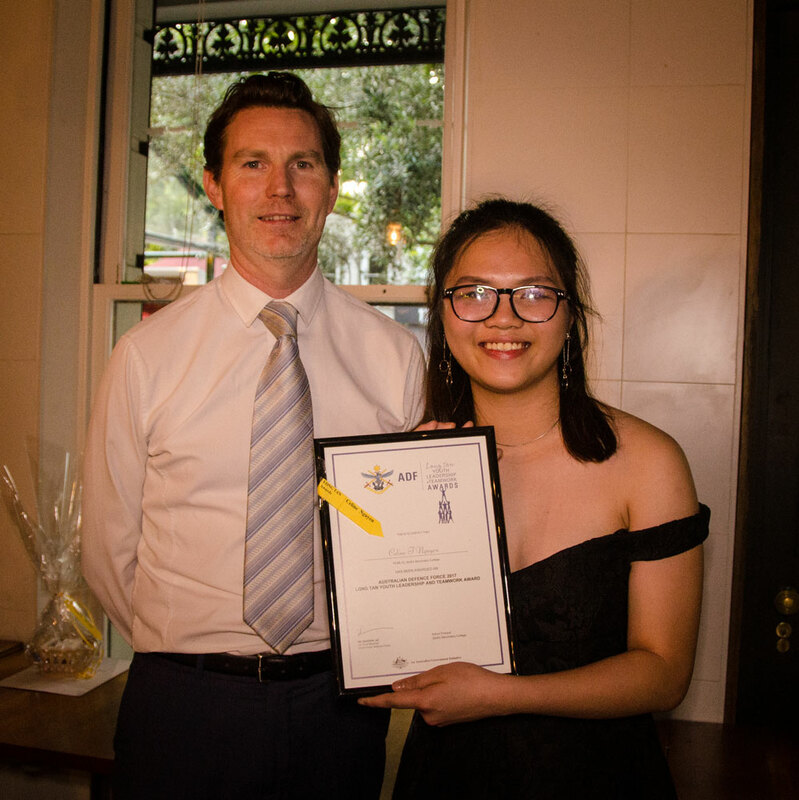 The courses are developed in such a way that students have time to learn and enjoy their personal lives, so students can work part time and explore Melbourne while being a full-time student. Lecturers are knowledgeable with the units they teach, and various techniques are used to ensure students learn and apply the concepts. Theory units are explained well and are relevant for my future career as an accountant. The Administration and staff are also friendly and helpful. They are accommodating and open minded. They take student’s criticism positively and are willing to change policies to benefit the students. Moreover, they take the student’s issues seriously whether its personal or related to studies. Stott’s Colleges brings a university vibe with affordability, with the main campus in the city being extremely convenient to reach. International students who value education and a balanced student life should definitely study here. I have just completed my first year in the Diploma of Community Services, where I found my trainers to be knowledgeable and supportive, especially in assisting me with my assessments. Coming from a creative background, I was also very happy to be involved in the Art Therapy and other lifestyle programs while on placement at Aurrum Aged Care. Even better, I have transitioned into a paid role as their Lifestyle Assistant after successfully completing my placement! My name is Hannie. I’m from Vietnam. First of all, I really appreciate Stott’s for giving me a great chance to come to this beautiful country, Australia, to study. The school is like my second home. During two years in Stott’s, I’ve met a lot of kind teachers and friends who helped me a lot in both my life and study. The teachers were always beside us, supported and motivated us in study. When I had trouble in something, they always helped me to find the best solution to overcome it. The students in this school are absolutely friendly, we had wonderful time together here. Being an oversea student, I find it hard to live and study abroad, and Stott’s was the right choice to begin overseas study. After studying here, I feel much more confident to be ready for the new life in university. Thank you so much for teaching me a lot during two years. You are not only our best teacher but also our great father. Wish you all the best. My name is Celine. I studied in Stott’s College for 2 years. It was a fantastic journey in my life, being my second home in Australia. Thank you to the teachers who were always beside me and encouraged me to study. They helped me a lot choosing the course that I want to do in the future. Thank you, Stott’s for giving me a chance to build great friendships with my Chinese, Indian and Vietnamese friends. Stotts was more than a family to me, they will always be in my heart as part of my life. I also want to thank all the staff who worked so hard for us to have chance to study in a fantastic building. I wish Stott’s all success in the future. Thank you! We believe graduates of the Diploma of Community Services and the Bachelor of Community Services at Stott’s College will be employable in the community services industry. These courses can also provide pathways to graduates and postgraduate courses in human services. My name is Avelyn. I’m currently studying my second year of the Diploma of Community Services at Stott’s College. Through this course, the educators have provided me with support, mentorship, and guidance about my future career path. I also completed my first placement at the Australian Quadriplegic Association last term, where it provided with confidence, knowledge of working with vulnerable people, and developing professionalism in a workplace. From this placement, I was offered a paid support worker role even before I finished my course! I am in my 1st year of the Diploma of Community Services at Stott’s College. The educators are very experienced social workers and/or community welfare workers who bring their current experience and passion to the classroom. The management, support staff and administration staff are helpful and friendly, making my learning a positive experience. Hi my name is Yoshiko, I am a second-year student at Stott’s College in the Diploma of Community Services. I found the course to be comprehensive and interesting, very relevant to my career goals and unlike anything I have studied before in Japan. I also found the educators to be valuable and brilliant, both in terms of their knowledge and skill base, and their support and motivation throughout the course. 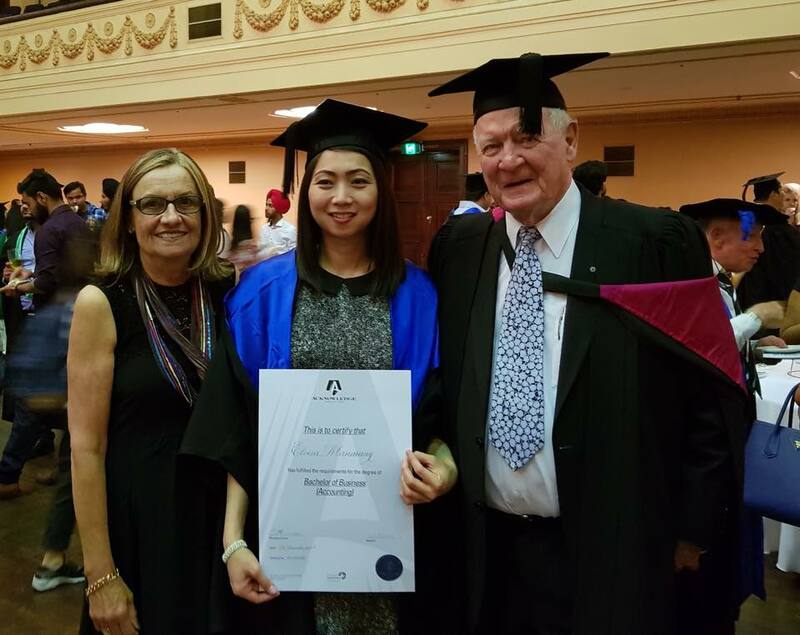 Placement: Australian Vietnamese Women’s Association Inc.
I’m Tran, a student at Stott’s College – Diploma of Community Services. 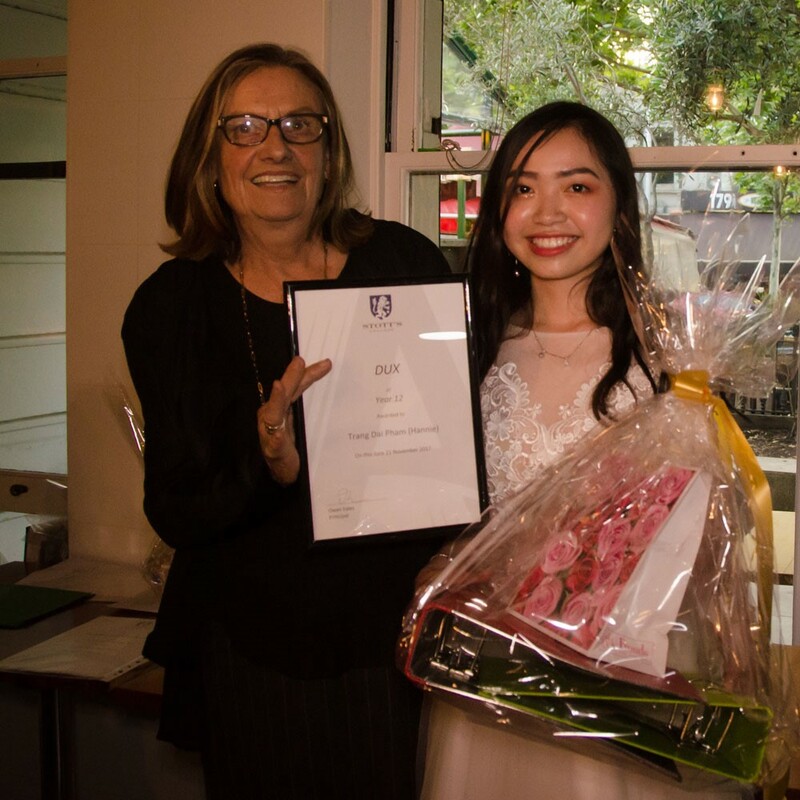 At the end of my first placement with the Australian Vietnamese Women’s Association Inc., I was so happy that my placement supervisor offered me a chance to work for their Home Care Packages Program as a Community Engagement Officer! I really appreciated that the placement gave me the opportunity to practice the skills and knowledge I learned inside the classroom. It’s true that my school is not as large as some other private schools in Victoria. However, you do get more attention at Stott’s. In my school, you can ask questions straight instead of sending emails. I used to have lots of questions to be solved, all the teachers at Stott’s were willing to help me. Meanwhile, our administrators are also helpful and friendly. Any issues you have may be solved by them. To help us, Stott’s offers free English classes for those students who find difficulties in reading questions. Finally, good accommodation backs up students’ study. Our school arranges homestay for us. Here I must say: “Thank you” to the school because they found me such a good place. In general, I hope each student who studies at Stott’s or considers going to Stott’s will have great achievements in the end. Sometimes your results may bring you a scholarship which will lighten the financial burden on your parents.